The second part of the soul food feast we prepared was smothered pork chops. 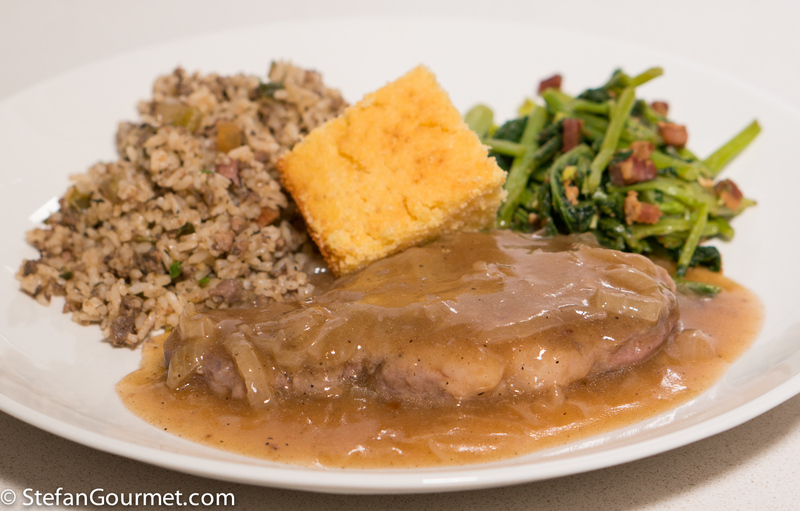 This is a simple but tasty recipe: pork chops that are cooked low and slow in onion gravy. Of course we made this sous-vide, but you can make it on the stovetop, too. 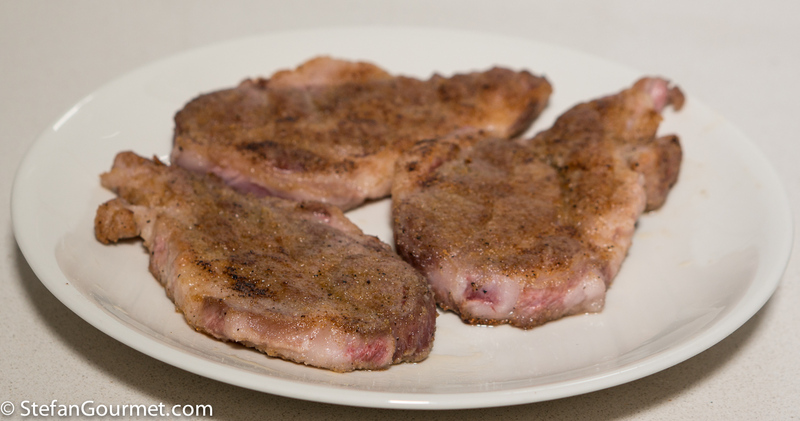 The most important for this dish is to get good pork chops, which means they shouldn’t be too lean. 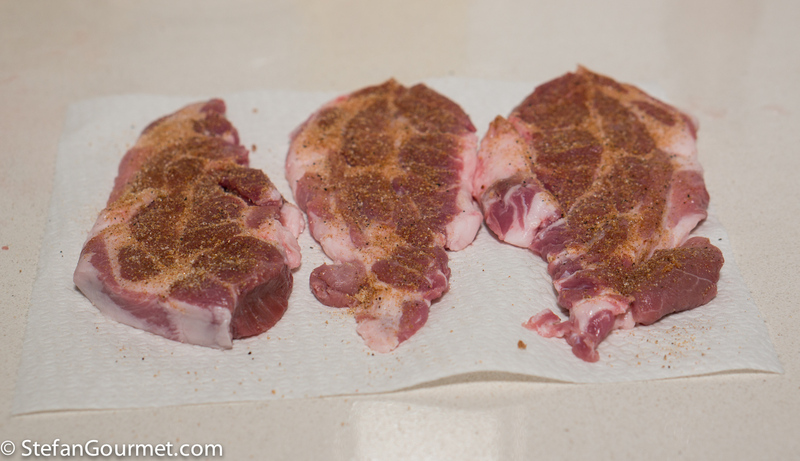 Our pork chops came with a thick layer of fat that we trimmed and from which we rendered fat to brown the pork chops. Using pork fat will provide more flavor than using vegetable oil. 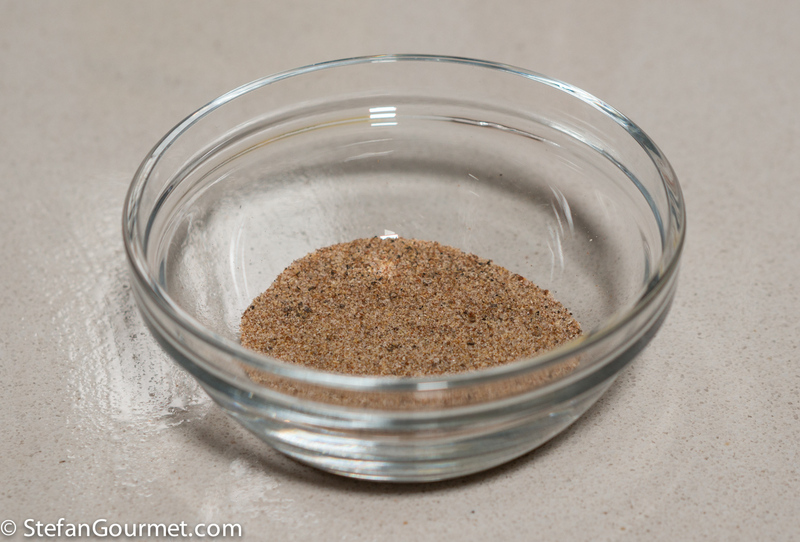 Combine 1 tsp garlic powder, 1 tsp celery salt, 1/4 tsp paprika and 1/4 tsp black pepper in a small bowl. 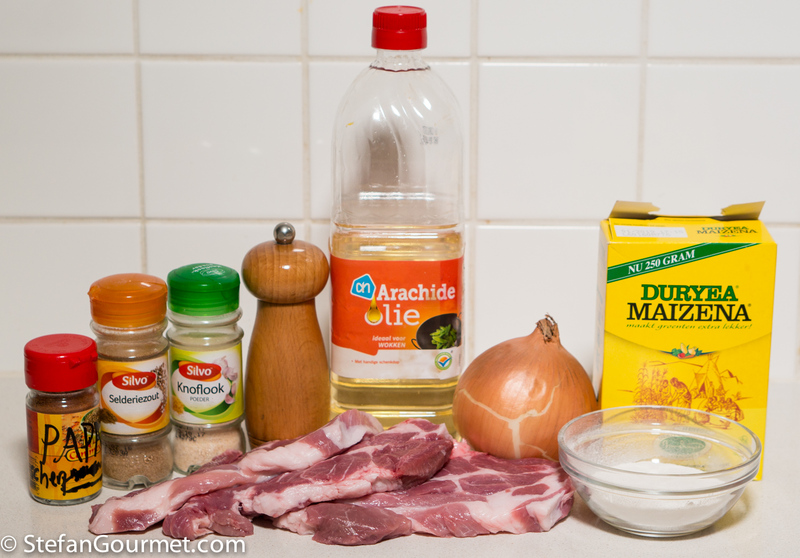 Rub the pork chops with this mixture on both sides. Reserve any remaining seasoning mix. 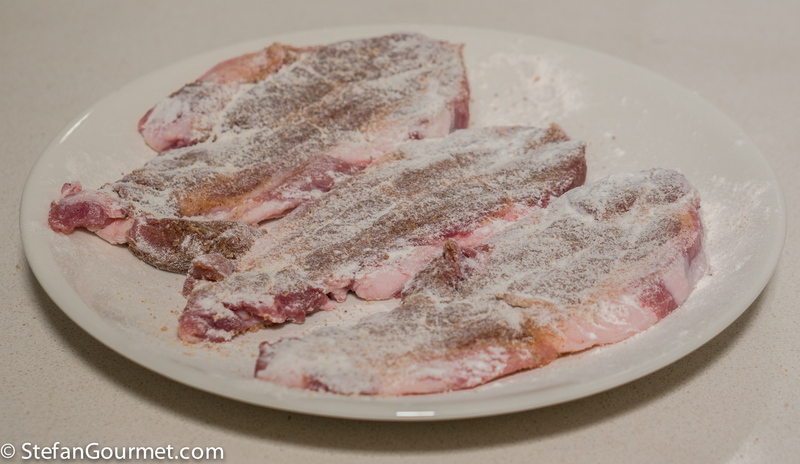 Sprinkle the pork chops with (self-raising) flour on both sides. 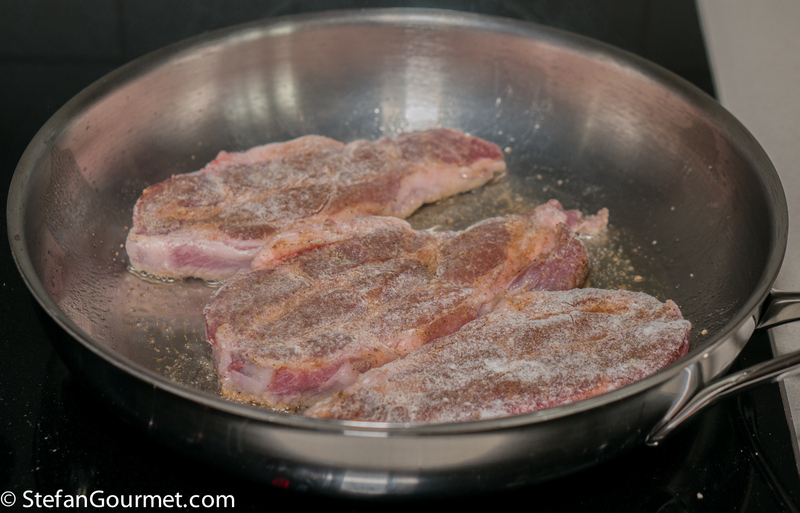 Heat 2 Tbsp pork fat or vegetable oil in a frying pan and add the pork chops, shaking off excess flour. 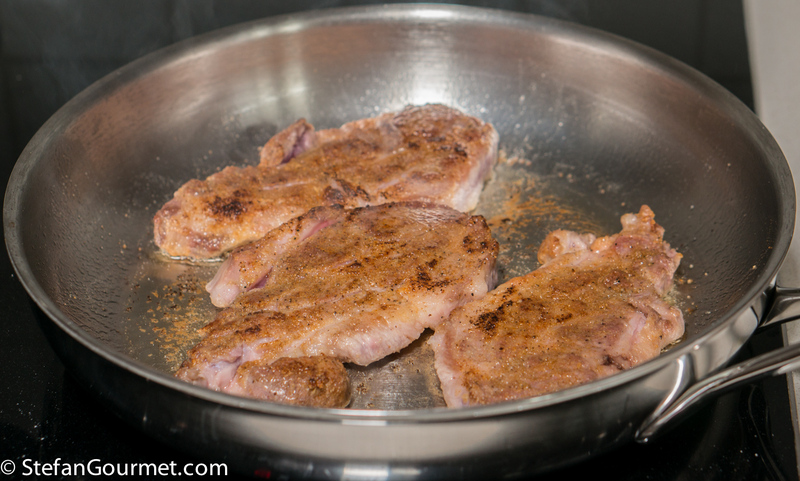 When the pork chops are golden brown, take them out of the pan and set aside. 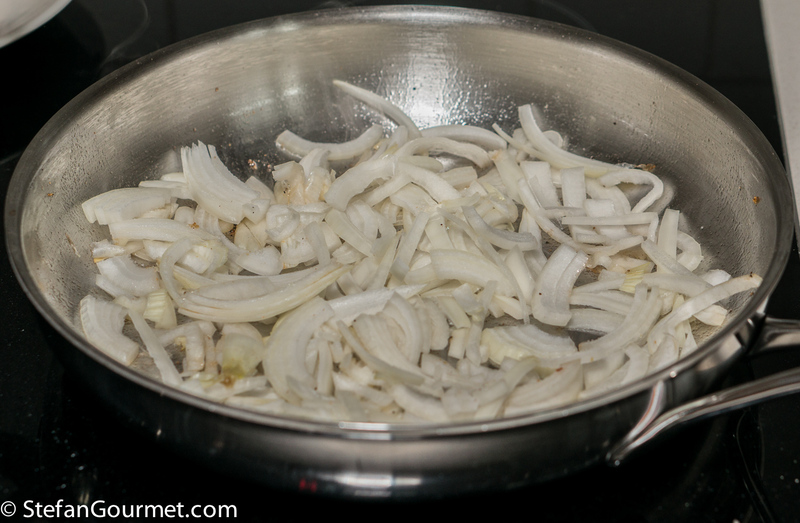 Add a sliced onion to the fat remaining in the pan. 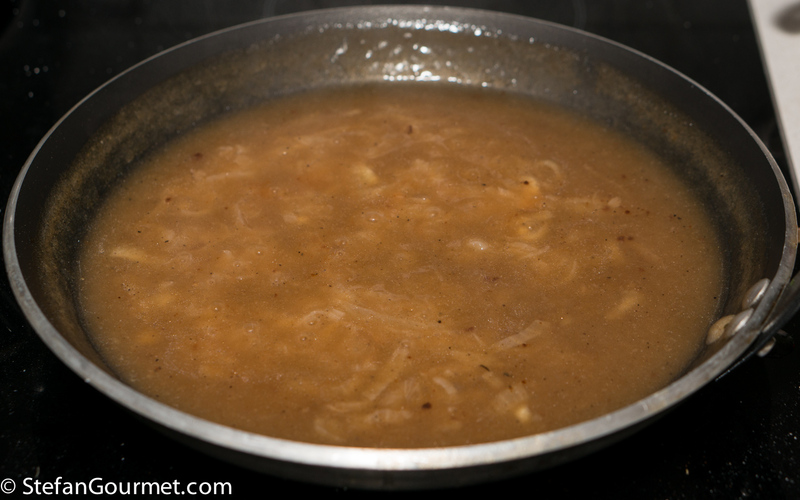 Season with the remaining seasoning mix, and cook over medium heat, stirring, until the onions are soft and slightly golden. If cooking sous-vide, vacuum seal the pork chops with the onions and cook sous-vide for 48 hours at 57C/135F. 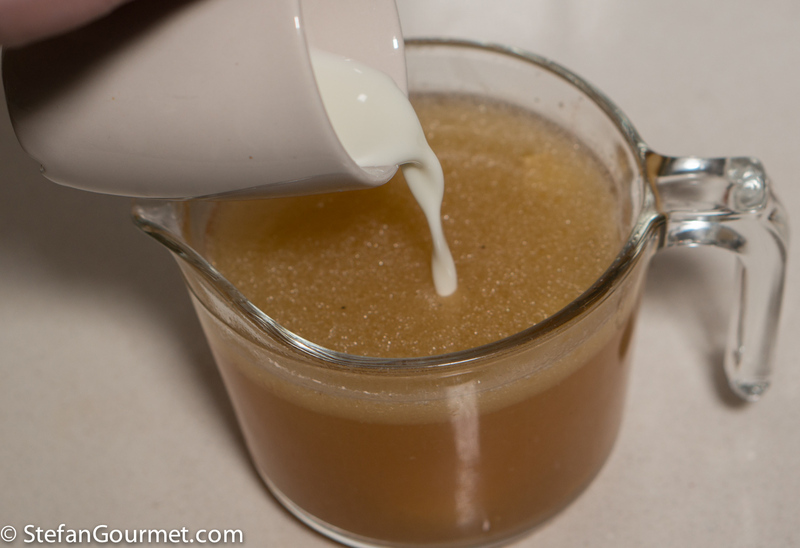 Mix 2 tablespoons of corn starch with some cold water until smooth, then add this to 500 ml (2 cups) pork stock and stir to mix. 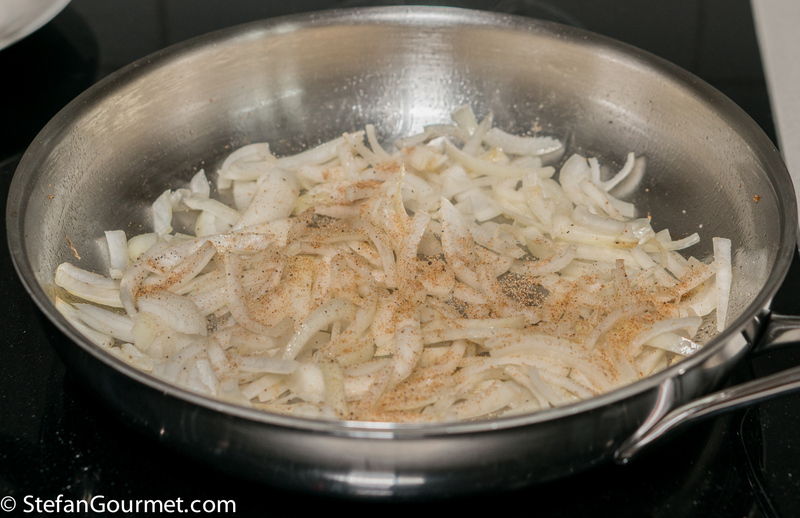 If you cooked the meat sous-vide, separate the onions from the meat and put the onions in a frying pan. 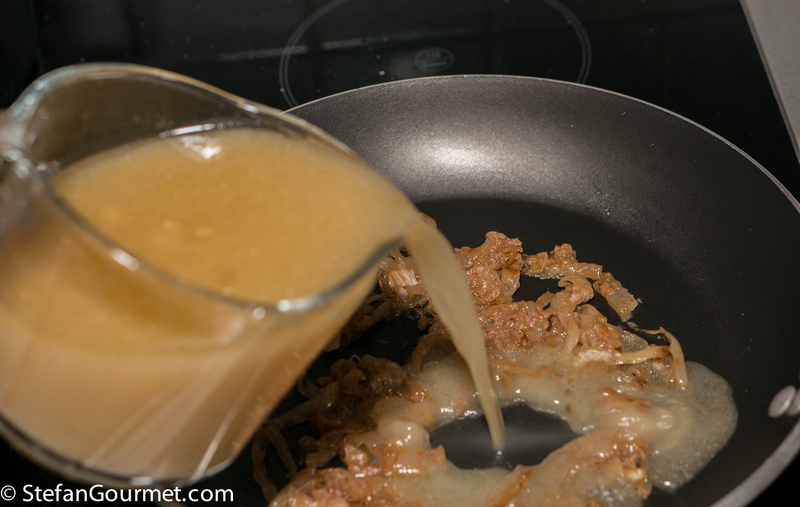 If not cooking sous-vide, the onions are still in the frying pan. Add the pork stock. Bring to a boil, stirring, until the sauce thickens. 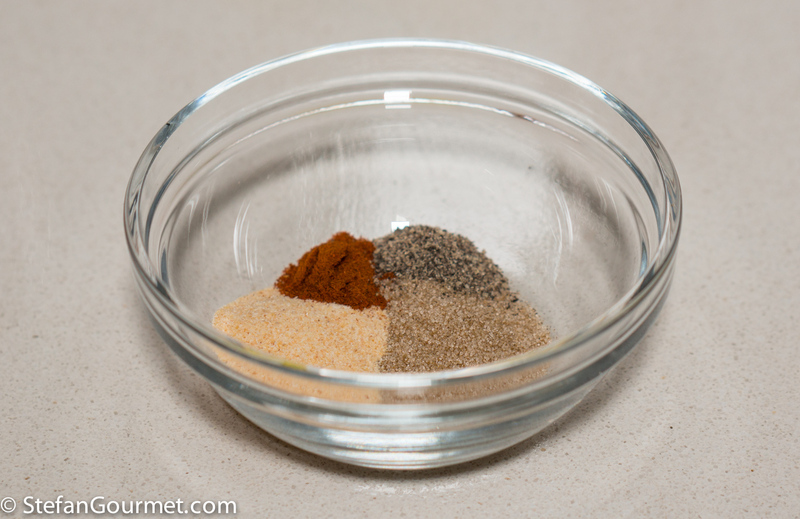 Taste and adjust the seasoning with salt, pepper, and paprika. Put the pork chops into the sauce. If they were already cooked sous-vide, just leave them in the sauce for a couple of minutes to warm through. 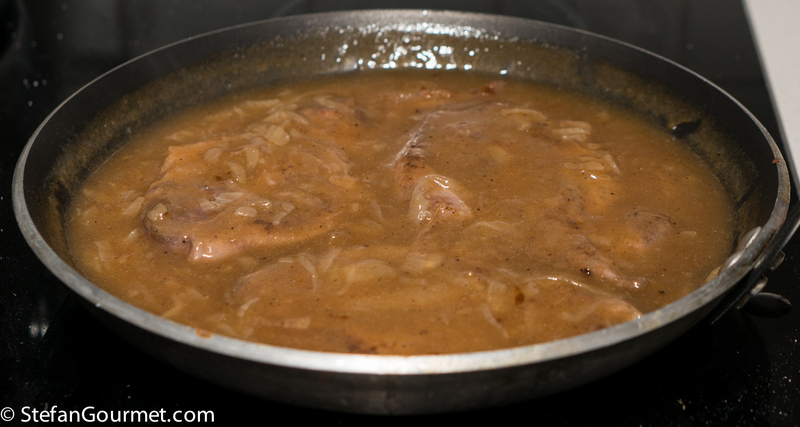 If not cooking sous-vide, simmer the pork chops in the sauce over low heat until tender, about an hour. Serve the pork chops covered with the sauce. 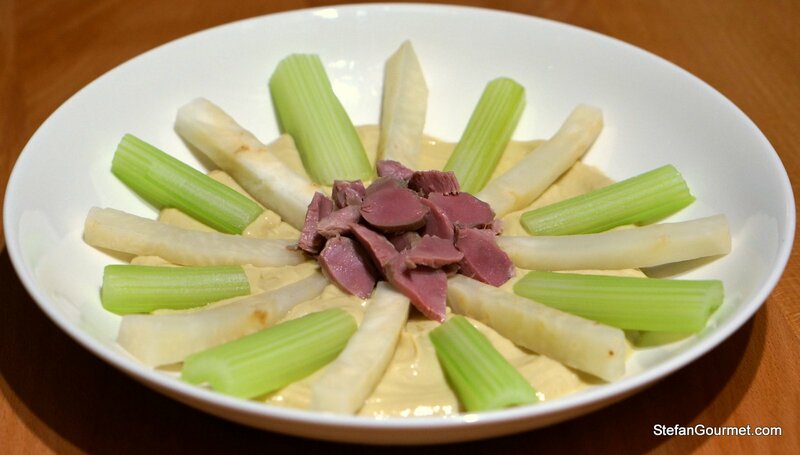 A combination of humble and luxurious ingredients that is very tasty: chicken gizzards sous-vide with celery, celeriac, and cream of foie gras. 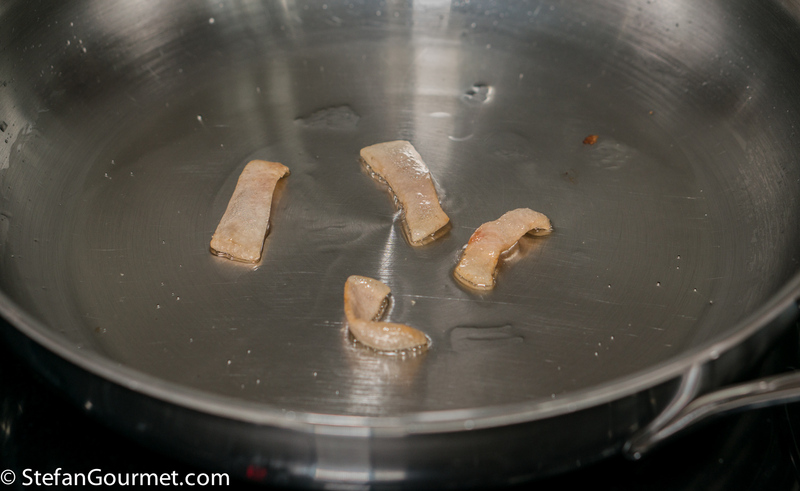 When properly trimmed, chicken gizzards cooked sous-vide are an amazingly flavorful and tender piece of meat. I would not really have thought of this as soul food. What part of the US is Selena from? The chops look delicious. I bet they tasted great with the dirty rice. And look, cornbread too! More deliciousness! Brilliant idea,rendering the fat. Ho comprato i sacchetti per cucinare sottovuoto. Ora mi manca solo tutto il resto! I am aware that ‘soulfood’ is supposedly a term used by those living in the Southern states of the US – at this stage I disagree: the word does have a specific meaning of love and comfort . . . of ‘hugginess’ one might say and can surely be adopted worldwide with thanks to its heritage 🙂 ! Lovely comfort food. I can imagine just how tasty they are. Soul food! nice one Stefan. I’ve been to a few restaurants in the south. It can be pretty intense, specially the portion sizes hahaha 🙂 I’ve cooked pork chops sous vide before but never for 48 hours. Usually only for a few… granted, it’s difficult to find marbled chops like those in your post here in LA (you’re lucky). What’s the texture like at 48 hours? lovely post as always. Thanks, Paul. For pork loin chops a couple of hours would suffice, but these chops from the shoulder side are still a bit tough after 3 hours at 60C/140F. I prefer them for 48 hrs at 57C/135F. The texture is very tender and a bit ‘loose’ but not at all mushy.